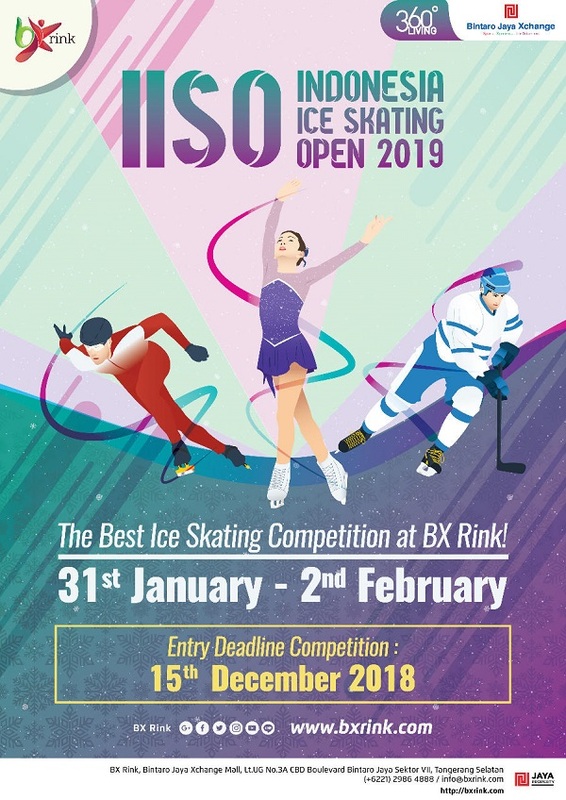 We would like to inform you that BX Rink will be having our 6th ISI Competition “Indonesia Ice Skating Open 2019 @ Bintaro Jaya”. And we are very pleased to invite you to participate in this special event, and chance to meet you in Bintaro. BX Rink is the best skating rink in Indonesia, with 1320 sqm ice area. Located at Bintaro Jaya Xchange Mall as the first phase of plans to construct mixed use area on a 25ha land will indulge you with varieties of shops, Alfresco F&B outlets, spectacular entertainment area. Of course, we very much look toward for your participation in this year’s event as do all of our skaters who are eager to compete their talents and skills with their and fellow skaters from throughout the region. It is our wish that you and your skaters will be able to join us in “Indonesia Ice Skating Open 2019 @ Bintaro Jaya” for this exciting and fun-filled competition. Your participation will be a big help in promoting Ice Skating in Asia. Please advise us soonest of the details of your participation and participants so that we may be able to attend to their schedules and requirements. 4. If there is any updates or changes, please contact ISIAsia Office AND the Competition Director.